IRCTC's air tour package to Ladakh package also includes return airfare on GoAir. IRCTC's tour, titled Enticing Ladakh Air Package, begins from Delhi. IRCTC Tourism, a subsidiary of the Indian Railways, is offering a 5 nights/ 6 days air tour package to Ladakh from Rs 33,800. "Ladakh is one of the most enchanting land and one of the popular tourist attractions of North India. It has Tibetan Buddhist monasteries, high passes, sand dunes, little hamlets and beautiful lakes, each of which is an important aspect of tourism in this region. Voyage to Ladakh offers the visitor a chance to experience the best of sights and sounds of Kashmir," said IRCTC on its website, irctctourism.com. 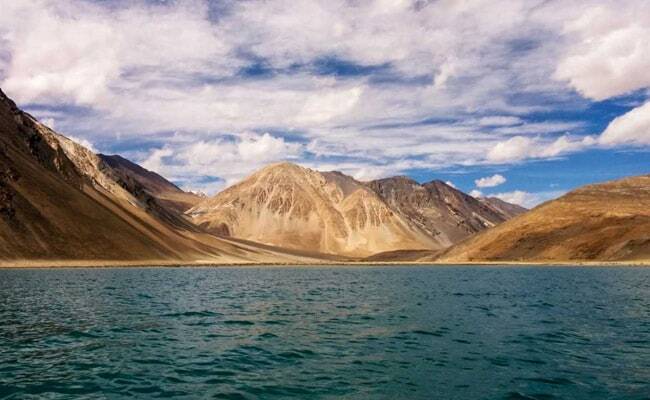 The tour titled Enticing Ladakh Air Package, begins from Delhi. The flight timings or schedule is subject to change as per the airlines operational feasibility. IRCTC's air tour package to Ladakh package includes return airfare on GoAir, accommodation in well-appointed standard rooms for 4 nights in Leh and fixed tented camps/rooms for 1 night in Nubra valley; return airport transfers by non a/c vehicle; buffet / fixed menu (5 breakfast, 5 lunch & 5 dinner); all sightseeing will happen by non a/c vehicle; and travel insurance. IRCTC's air tour package to Ladakh package excludes airport transfers at Delhi; any portage at hotels, tips, mineral water, telephone charges, laundry and all items of personal nature. Sill / video camera fees, entrance fees for monuments and any activities suggested in the itinerary are chargeable directly. Additional meals / en route meals, sightseeing and activities other than those mentioned in the itinerary; any service not specified in inclusions is also excluded from the package. During the ongoing summer holidays, IRCTC is offering a host of domestic and international packages to destinations like Ooty, Manali, Gangtok and Tirupati, among others. Leading airlines like AirAsia and Vistara are also offering flight tickets at discounted rates.